As any blogger who has been blogging for a while will know, there are numerous blogging awards out there. And quite rightly so. Blogging Awards are a way of showing caring and compassion and of demonstrating respect for other blogger’s work. Generally speaking when you receive one such blogging award you then, as part of accepting that award, have to nominate a number of other bloggers who you, in turn, would like to nominate. But the Warrior Child Award is something completely different on that score. Awarded by any member of the Mental Health Writers’ Guild it is awarded without reservation or expectation to any blogger who, in the opinion of that Guild Member, has demonstrated in their writing both the ability to be as strong, determined or brave as a warrior whilst at the same time also showing that they too are as vulnerable as a child. 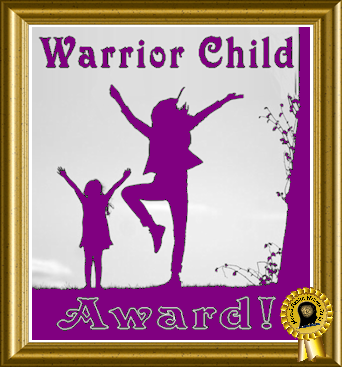 Please note that whilst the Warrior Child Award can only be awarded by Guild members recipients do NOT have to be Mental Health Writers’ Guild Members. If you are viewing this page as a result of having been awarded this award by a Guild member please feel free to copy and display the Warrior Child Award logo to the right and to link to this page by way of explanation as to the meaning and sentiments behind the award. Obviously you may want to also thank the person who nominated you for this award but that again is entirely voluntary. 1. As a blogger and writer who both writes but also reads blogs relating to mental health and mental wellness I have been so very, touched, honored and blessed by the openness and bravery as well as the vulnerability that I often see in so many of the blogs that I read. 2. Some time ago now, Gary Valenciano recorded a song ( it has also been recorded by Twila Paris I believe) which speaks so keenly into the kind of duality of experience and identity that I have spoken about above and which is behind this award and its name. Although that song is actually a Christian song I truly believe that it carries truths and experiences that are relevant to many people regardless of whether they do or don’t have a faith or a religious involvement. The song is called The Warrior is a Child and I have embedded it below and I sincerely hope you enjoy it. What a great idea 🙂 I remember this video as one you have pointed me to before. I really like the idea of an award that does not hold any obligation for the blogger receiving it to do anything but joyfully receive. I know right away whom I want to nominate. It’s Carla, who has been so open about her struggles, so generous in sharing her experiences, and so positive in responding to others with similar circumstances. She’s at http://carlarenee45.wordpress.com. Thanks again, Kevin, for another excellent idea. Great to hear from you and to hear that you would like to nominate Carla. I have to totally agree with you that she ius very deserving of such an award. All you have to do is contact her telling her that you are giving her the award and directing her to the award page. Everything else should be self-explanatory there. Hi everyone. I just wanted to stop by and thank you for awarding me with the Warrior Child Award. I am so surprised. 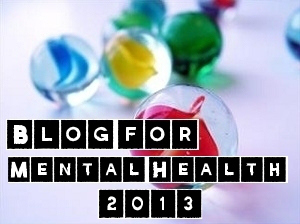 I probably know less about mental disorders technically than anyone on WP. But this has given me the opportunity to use my mind and start studying again. I wish I was well rested and more focused during this time of celebration. Hopefully I will get this under control real soon. But I am honestly overjoyed to be chosen for this.
. I will leave this on the table and wait and see what the rest of the group wants to do. Really good to hear from you and I hope you are doing better and I am so glad you liked the award that Candida gave you. You certainly deserved it and I couldn’t agree with her choice more. I also couldn’t agree with your choice more concerning Lulu and infact I awarded the same award to her only a few days ago. Which leads me to clearing a couple of things up if I may as I don’t think I was too clear in my original explanation of the award. In terms of giving the award any Guild member can give it out to any blogger who they feel deserves it. The award can only be given out by guild members BUT can be given to anyone regardless of whether they re a guild member or not. The award is given by that Guild member independantly and does not need to clear it with anyone first. It is quite simply a Guild award that is given from you and given by you as a member of the Guild. Likewise, unlike most other awards, having received the award no expectations are placed on that person whatsoever. It is simply in recognition for writings already done and just a way of showing appreciation and respect for that person’s work. The recipient of the award is not asked to then nominate someone else or to pass it on and this is because a) it is intended as an individual, one-off, spntaneous award and not part of any requirement to nominate others and b) because it can only be given out by Guild members (being a guild award) but recipients do not have to be guiuld members. So in the case of your award, Candida wanted to give it to you and so did so and I was very happy that she had done so and like wise I myself wanted to award it to Lulu, (for much the same reasons you have chosen her) and so I did so. So as I say it is really great that you have chosen Lulu (and I couldn’t agree with your choice more) but all you have to do is contact her and let her know you have awarded it. You don’t have to get anyone’s agreement on it and incidentally the fact that I also awarded it to her should not make any difference to your awarding it also. I hope that has cleared up any confusion that I may have caused. thank you, I think I will just award it to her again. Good Idea! Go for it! Glad you liked the award and really good to hear from you. How wonderful! I know so many true warriors, who have managed to stay alive and reach out to others through their blogs. 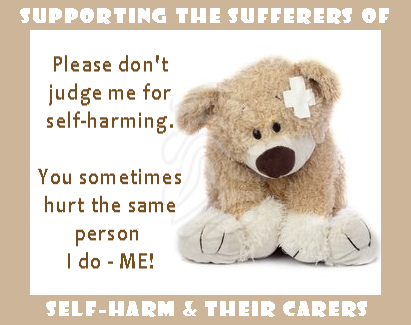 Some of them are so much more disabled than me, and yet they keep soldiering on, helping others by sharing their stories, their feelings, their ongoing struggles. Thank you so much. 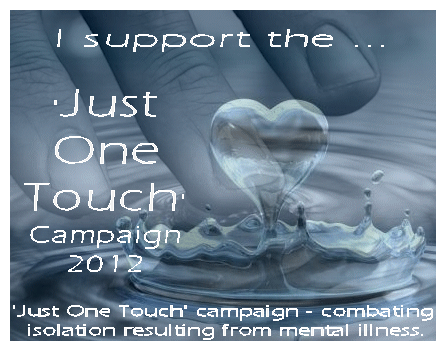 I will be sharing this award widely, with the many true warriors in my corner of Bipolar Blog-land. SO interesting to hear about this award as I wrote a poem on my blog called “warrior child” I am a mental health advocate, a pastors wife and a long time sufferer of Clinical Depression. Thank you to this group for highlighting and uplifting those who often fade into the shadows and teeter on the edges of life! Together we are stronger! One akin to warrior and child. To preserve what little has been left. Afraid to wield its sword. Then that of the warrior. For what good is a warrior without a battlefield? Now at the mercy of the child. Only fate can bet on it’s hand. Warrior and child in tandem. She will win the war. I just wanted to thank you for taking time to comment and for sharing your poem with us. The warrior child song by Gary Valenciano so very much spoke to my heart and my faith – which of course are directly linked. 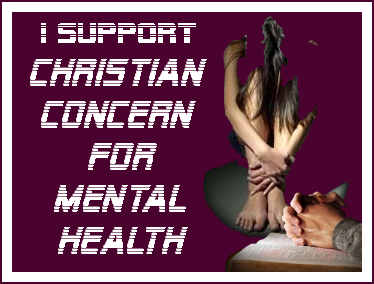 I think it is so important that we recognize the two states of the fight that we have with our mental health and most importantly that being in the child state or even having such a fight does not limit God’s love for us, or who we are in God. A truth which I am so desperately trying to hold onto at the moment. When I first read about the Warrior Child Award through your welcome to me as a new guild member, Gary Valenciano’s song popped right into my head. I love this song so much – thank you for using it as a symbol of this award. Many people do not take into consideration how true this song is to mental health patients, and to everyone as well. Simply beautiful. Thank you so much for taking time to comment and for sharing your thoughts on this. As I just said in response to a previous comment, this song spoke so much to my heart when I first heard it. And as you said, it really is beautiful and so very appropriate to those of us who struggle with our mental health.